An 8-year-old Mohit Suri was so taken in by his uncle's movie, Aashiqui (1990), that he decided to become a filmmaker at that tender age, according to Mahesh Bhatt, in a recent interview. Now, 23 years and a few hits later, Suri has finally paid tribute to his inspiration, by presenting to the world Aashiqui 2, a love story, of course. Do not let the "2" fool you. Like all Vishesh Films movies, the number at the end of a title does not imply a sequel. It just reminds you that the makers have the right to use the title as many times as they want, and make franchises that run largely on popular actors and similar-sounding, albeit extremely popular, songs. Aashiqui 2 does not have popular actors, though. The lead pair is a new one, and the Bhatts are hoping that the film does to Aditya Roy Kapoor and Shraddha Kapoor what Aashiqui did to Rahul Roy and Anu Agarwal (at least, the good bits). To begin with, Rahul (Aditya Roy Kapoor) and Aarohi (Shraddha Kapoor) are talented singers. They are the stuff that legends are made of. Rahul discovers Aarohi at a club in Goa, mentors her, and makes her a star. He, on the other hand, spirals downward, as he hits the bottle and hates everybody for no apparent reason. The silver lining is his passionate love for his prodigy, who becomes unattainable at some point, leading to further depression. Aarohi, however, decides that love conquers all, and sacrifices her life, aspirations, dreams and career to hold her mentor's hand on his journey to recovery. The story has a healthy mix of familiar plot points that remind you of so many movies - A Star Is Born, Rockstar and Abhimaan, mostly. The makers have very cleverly woven in these references, but at no point does the story resemble any of the above-mentioned films. Also, one is not sure why Rahul needs to drink so much. Where is all that angst coming from, and why? And, if he knows he has a problem, what is stopping him from seeking professional and medical help? The father angle to Rahul's story seems a bit forced, especially since the parent has advice on all aspects of his son's life. If there is such a wonderful father in his life, why is the young man so troubled? Then, there is the friend, who is the epitome of loyalty, but again, more idealistic than real. Sequences of "realistic" scenes become tedious after a point, and the script drags on and on for quite a while, looping over the same emotions and high points for eternity. The music is a hit with the intended audience. However, you cannot help wondering where you have heard it before. The production design is apt for the setting of the movie, as is the cinematography. The costumes are average, and some even make statements. Aditya Roy Kapoor tries very hard to be a convincing Rahul, and he has evolved as an actor over the past few years. He is the star here, but he may never gain the instant fame and popularity that Rahul Roy found himself inundated with in 1990. Shraddha Kapoor is very pretty. Period. She is otherwise very lost in the movie, and does not make an appealing/awesome Aarohi. She is almost insipid, and one wonders how she can drive the hot-blooded Rahul into inconsolable depths of despair and passion for her. Rahul Roy said last year that the original characters would be tough acts to follow. Mahesh Bhatt retorted by calling him delusional. It will be interesting to know what both have to say, now that the movie is released. What is commendable, though, is that Mohit Suri attempted to give us a simple love story, much like the original. If he had retained at least one element of Aashiqui (like, say, Tom Alter), the film would have been more attractive. At present, it is repetitive, and monotonous. Rent a DVD of Aashiqui, or, even better, keep your eyes and ears open for Rahul Roy's latest interviews regarding the new movie - we guarantee that those will be better scripted and more entertaining. 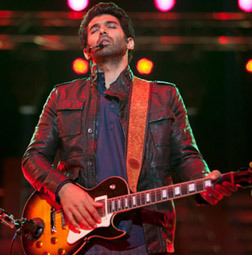 rahul is died or alive in aashiqui 2 movie? fullhyd.com has 700,000+ monthly visits. Tell Hyderabad what you feel about Aashiqui 2!